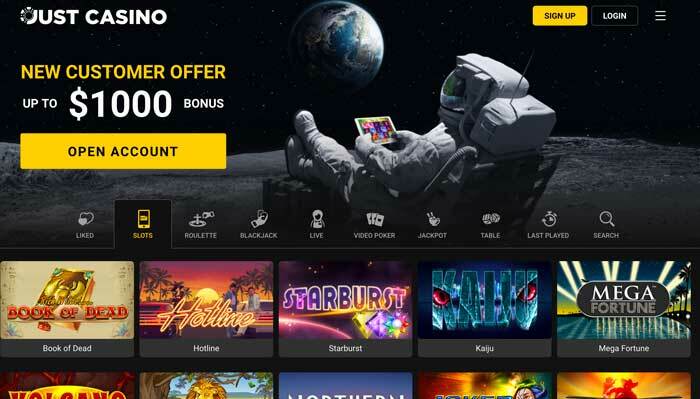 Launching in late 2017, Just Casino has only been around for a few months now, so it would seem that such a platform would still be finding its feet. However, this isn’t really the case for this site. In fact, Just Casino has already built up a decent following, and this is most likely due to the fact that it is operated by MT SecureTrade. Therefore, with this company operating it on a daily basis, players are able to access a wide choice of games at this casino. The games that are on offer at this site come from developers like NetEnt, Betsoft, and Microgaming, so it utilizes some of the greatest providers to offer its members a large choice of products. The site itself holds two different gambling licenses, too. The first of these comes from the Malta Gaming Authority, while the second one is on hand from the UK Gambling Commission. Because of this, you can be confident that playing games at this casino is done in a safe and fair environment. If you want to access the casino by a smartphone or tablet, too, you’re able to do this easily enough. Simply enter the website’s address into your mobile device’s web browser, and you’ll see the optimized version of the site on your screen. 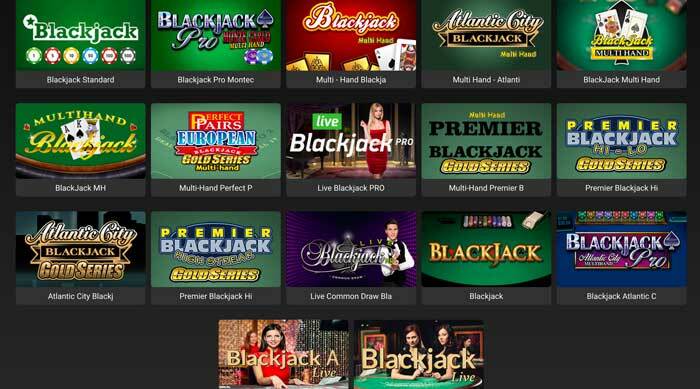 This provides you with the ability to play your favorite casino games from wherever you are. While the exterior and built-in features of the Just Casino platform are thoroughly intriguing, the site doesn’t allow registrations from a vast number of countries. This includes the United States, South Africa, Slovenia, Morocco, Iran, Israel, Brazil, and Cyprus. In fact, many of the world’s countries are not able to sign up and play at this casino, which is a bit of a shame on the whole. However, countries like the United Kingdom, New Zealand, and Australia can play at Just Casino. If you’re like us, then you love to receive special offers from your favorite casino sites. Just Casino has a welcome offer for newcomers to enjoy, which spreads out over your first five deposits. On top of your first one, you’ll be given a bonus of 100% up to €200, while your second one provides you with a bonus of 50% up to €200. For your third and fourth deposits, you’ll be given bonuses of 25% up to €250 each time. And finally, once you reach your fifth deposit, you will receive a 100% bonus up to €100. This means that from the welcome offer, you’ll have the opportunity to receive up to €1,000 altogether! The minimum deposit that you need to make in order to receive each of these bonuses is $20, although if you deposit by the Neteller or Skrill e-wallets, you can’t receive it. The welcome bonuses also come with wagering requirements of 40 times the bonus amount that you receive. Additionally, if you reside in Croatia, Latvia, Russia, Thailand, or the Ukraine, the welcome promotion is not available to you. Yet it remains an easy welcome offer to claim. You simply need to make the relevant qualifying deposit each time, and the bonus will be added on top of your funds within five minutes – although this is usually an instant process. With €1,000 in total on offer, Just Casino is able to provide you with a truly intriguing welcome. For the times when you want to make deposits into your Just Casino account, you’ll find that there are several payment methods that the site accepts. Visa and Mastercard credit and debit cards are available to use, first of all. Alternatively, you can utilize an e-wallet from either Skrill, Neteller, or ecoPayz. Finally, if you reside in Finland, there’s the option to make use of Euteller instead. All deposits at Just Casino are free of charge and instant. Furthermore, with any of these methods, you can deposit anywhere between €10 and €5,000. Additionally, they’re all instant deposits and subsequently can all be put to use when it comes to the time for you to make a withdrawal, too. Withdrawing funds from your account has the same limitations as depositing, meaning that you have the ability to take out between $10 and $5,000. There aren’t any fees to pay for making a withdrawal from Just Casino, either. Despite the fact that Just Casino claims that its withdrawals are processed through instantly, certain payment methods do not provide for this. So, if you opt to withdraw via a credit or debit card, for example, this can take between three and five business days in total. However, it’s nice for people to be able to deposit and withdraw at this site without having to incur fees for such. Should You Play at Just Casino? It’s difficult to recommend a casino site that is only available to a limited number of countries. Of course, if you reside in one of the locations that Just Casino is available to, it does have a great collection of games, decent depositing methods to choose from, and a well-designed site. The welcome offer has a lot of appeal to it, too, consisting of up to €1,000 for you to claim. And furthermore, the fact that it is available via mobile devices makes Just Casino more tempting to sign up to. However, it does also lack in certain areas. For example, the fact that it doesn’t provide support via live chat to its players. In today’s online casino and gambling world, live chat is quite a perk for players to be able to utilize when seeking out assistance. Waiting for emails to be sent back and forth isn’t so appealing. And, as spoken of earlier, the limited number of countries that Just Casino caters to is also quite a let-down. However, it does bring forth a collection of live dealer games and allow for deposits and withdrawals to be made without any fees being charged.